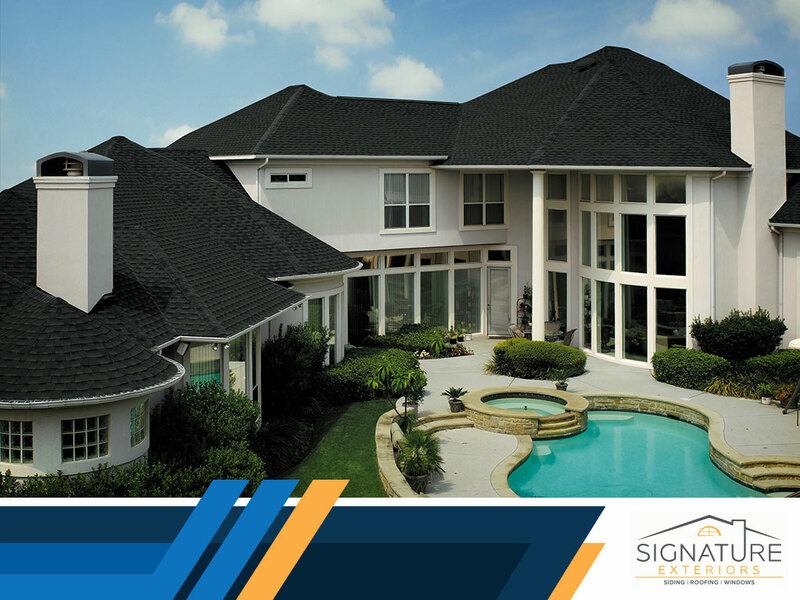 At Signature Exteriors, we are one of the few local roofing contractors that have the coveted GAF Master Elite® certification. This gives us access to GAF’s impressive line of asphalt shingle roofing – all designed with durability, longevity and curb appeal in mind. We discuss some of the popular choices for asphalt roofing from GAF. This is GAF’s number one selling shingle and it is the epitome of functional aesthetics. These architectural shingles are made from high-quality asphalt, but they have the look and feel of wood. The ARMORSHIELD™ variant has higher durability and weather tolerance, making it a great choice for homes in areas that have frequent inclement weather. On the other hand, The Timberline Cool Series™ is a great choice if you want a roofing system that has higher heat tolerance. GAF’s three-Tab roofing shingles are the most economical choice for homeowners that want straightforward protection for their home. Unlike other three-tab shingles on the market, the GAF Marquis Weathermax® and Royal Sovereign® asphalt roofs have higher strength, durability and weather tolerance. They don’t stand out as much as the designer and architectural shingles, but they don’t lack in overall durability. GAF has a vast array of asphalt shingles that come in a wide variety of styles and colors. This allows homeowners like you to mix and match your roof according to your home’s pre-established aesthetics, structure and budget. Great examples that we recommend include the Camelot®, Glenwood® and Grand Sequoia® designer shingles. Slateline® is a great choice if you want a roof that has the strength and durability of slate without the high upfront cost. As your local GAF Master Elite roofing contractor, Signature Exteriors will secure your new hardware with some of the most robust roofing warranties in industry. Call us today at (866) 244-8029 to learn more about our services. We are Master Elite Roofing Contractors in Greenwich and Danbury, CT.